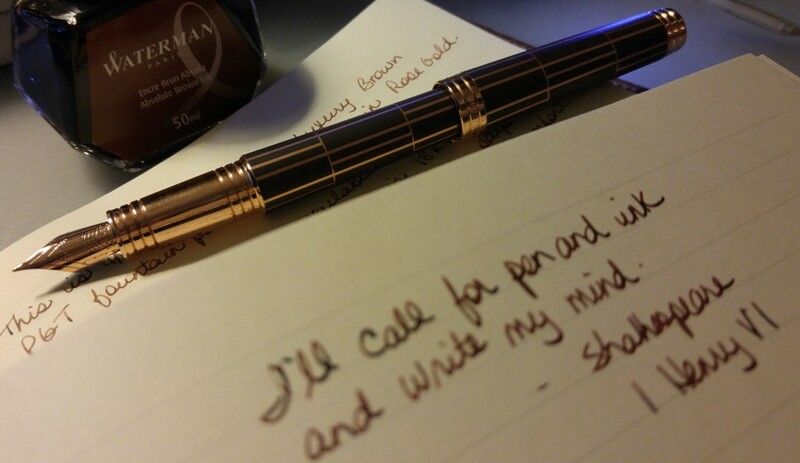 Still using the Parker Urban with no issues. Great pen. My next Pen of the Month will be chosen on August 26. Purchases: Check out my review of the TWSBI Eco from last Sunday. I haven’t made any purchases this week. Don’t forget to enter my giveaway – read the details here. My friend and I saw Ricky and the Flash last Saturday in the theatre. I enjoyed it. Meryl Streep is always so good. Her daughter is pretty good too. We bought a laser pointer toy for the cats; I had forgotten how much fun those things can be. The cats just go nuts for it! I was sick today and stayed in bed. I watched three movies: Still Alice, Begin Again and If I Stay. Still Alice was, predictably, terribly sad but also life affirming. You never know how much time you have. Begin Again was fantastic – love Mark Ruffalo. It was funny and sweet and had an unexpectedly original ending. If I Stay is a teen romance with a twist but I liked it.